The SmartThumb helps prevent and relieve sore, aching, and weak thumbs. The SmartThumb helps relieve pain and protects your thumbs while doing every day activities, including mousing, keyboarding, gaming, using your PDA and doing other activities that may cause painful thumbs. It can be used all day, every day! The SmartThumb is unique in that it features two flexible support splints, one on each side of the thumb, providing comfortable support yet allowing unrestricted use of the thumb. 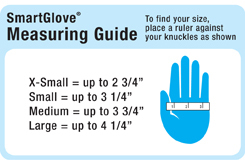 The top of the glove features an elastic inset for a better fit and a foam cushion under the wrist and palm protects the palm and wrist. 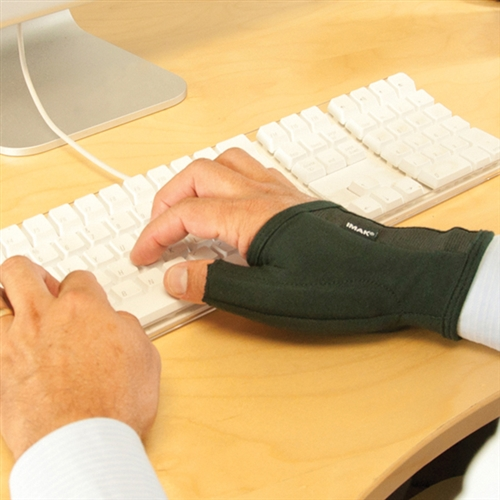 The SmartThumb is made of breathable cotton material for all day comfort.